The original recipe comes from The Pioneer Woman which I followed exactly (except for the green onions- I have an onion hater in my midst) and I used Ramen Noodles. The four cloves of chopped garlic was a little much. Below is how I plan to make this dish next time. I added and changed a few ingredients. Vegetarian and vegan friendly of course. Cut and chop vegetables. I always use frozen broccoli steam bags. Microwave broccoli and drain bag. Add olive oil to a skillet, heat on low. When skillet is warm, add chopped vegetables and broccoli. Increase heat in skillet, stir occasionally. In a small saucepan, combine all sauce ingredients while whisking, heat on low to medium. Stir occasionally. In a large pot, add water, enough to cover Ramen Noodles. Heat on hight until boiling. 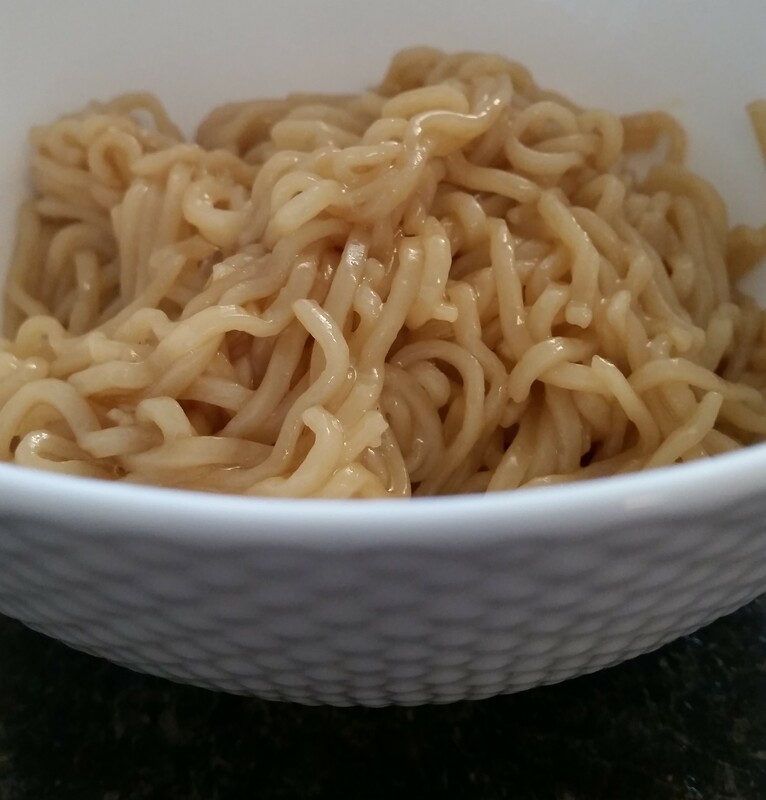 When water begins to boil, add Ramen Noodles, allow to boil for about 6 minutes or until noodles are fully separated and appear soft. Remove vegetables from heat (vegetables should appear tender by now). Place vegetables in the bowl and gently toss with noodles. Pour sauce on top of vegetables and noodles and gently toss. I think the next time I try it with the additions I will like it better. The original was just so garlic-y!